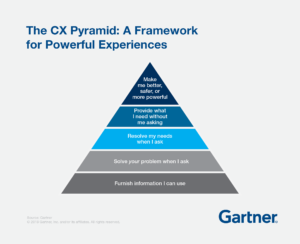 Last week I discussed Gartner’s CX Pyramid and its approach to evaluating your customer experience. Yesterday’s post discussed how to use journey mapping to help you move up the first three levels. 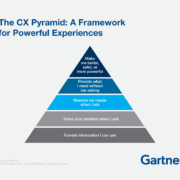 Today, I’ll talk about using journey mapping to move to the top of the pyramid – the Proactive and Evolution levels.